The Cape market has reported minimal period fixtures this week with one-year rates holding around $18,000/pdpr. 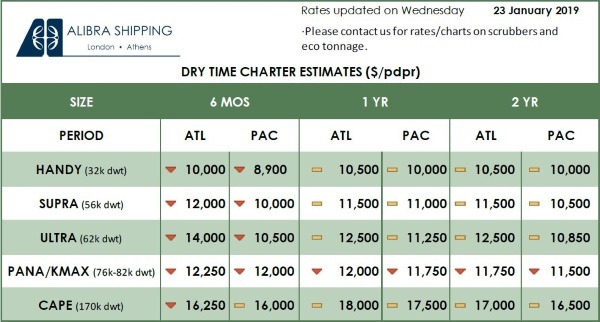 Panamax rates have fallen to $11,750/pdpr in the pacific for one year, following the seasonal trend for falling rates in the Far East. For the smaller sizes, in the Atlantic there is an oversupply of ships with very little requirement.